Yesterday’s article was about Friends of the Earth’s problems with vanillin sold on the market by Evolva. This substance is produced by organisms modified by synthetic biology, but nevertheless called ‘natural’ by permit of US agencies, because its production involves the natural process of fermentation. In judging this case, we should be aware that synthetic biology is already involved in many ways in the production of our food. Whereas companies active in this field should not play games with terms like ‘natural’. This is the third article in a series on public acceptance of biotechnology in food production. The articles appeared on 18 February, 2 March, 3 March, 10 March, 15 March and 27 March. Nowadays, the vast majority of cheese is produced by rennet acquired by the intermediate of biotechnology. Except in France, where food laws are much stricter than elsewhere. In our food supply, biotechnology has a strong foothold already. Cheese production is a clear example. 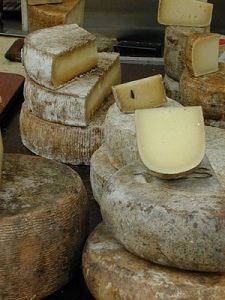 Originally, cheese was produced using rennet extracted from the maw or fourth stomach of ruminant calves. But from 1990 onwards, rennet was produced by biotechnological processes. Researchers extracted rennet-producing genes from animal stomachs and inserted them into bacteria, fungi or yeasts, to make them produce rennet by fermentation. The genetically modified microorganism is killed after fermentation and rennet is separated; the latter is then added to the milk, therefore the cheese does not contain any GM component or ingredient. The most important rennet producers at present are the Danish company Chr. Hansen and the Dutch company DSM. Everything is identical with the case of Evolva vanillin, except for the synthetic biology bit. But nobody protested. Cheese consumption did not fall. Consumption of beer, for which the same argument holds, kept on rising. Did not people notice? Did not they object? Did not they care? Or is it synthetic biology that makes the difference? Natural or GMO saffron? Or no saffron at all? Vanillin is not the only example in the market of food ingredients that could be substituted by products using synthetic biology. Evolva has developed biotechnologically produced saffron already. Isobionics, a subsidiary to DSM, produces valencene, the orange flavouring. Yesterday, we judged that third world smallholders are not likely to be affected by Evolva’s vanillin. But in the case of saffron, effects might be quite different. Saffron is the most expensive spice in the world. Most of it is cultivated in Iran, with irregular supply and a lot of adulteration in its quality. 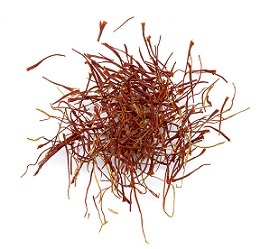 Natural saffron is a mixture of molecules, just like the orchid vanilla. In fact, this mixture is quite complicated with compositions varying by season and agricultural practices. At the moment saffron, is part of the political turmoil in Afghanistan whereby the UN has embarked on a program to persuade Afghan farmers to grow saffron instead of opium poppy. It is quite an interesting debate whether Evolva’s saffron would be an improvement or a drawback in this complicated world and market. But here comes the surprise: Evolva will not produce saffron at all! Quote of Evolva: ‘Our work on saffron is located at our Chennai site in India. The project is progressing well. We are presently optimising the performance of all enzymes involved in the saffron pathway. The intention is to produce three molecules primarily responsible for the colour, aroma and flavour of saffron. We expect products to be available either in 2015 or 2016.’ And would this going to constitute ‘natural saffron’? We rather feel that Evolva is only playing a market game, based on the fact that they can use the term ‘natural’ because of their sugar-based fermentation process. On the other hand, the products they bring to the market will be fully chemically and analytically sound and pure; and a life cycle analysis of their full production chain will undoubtedly show many benefits in terms of sustainability (less raw materials, less space, less energy, less waste, no plant protection chemicals, no harm to biodiversity etc. etc.) compared to the existing product routes. One thing is quite clear: biotechnology will have consequences not foreseen when researchers started to develop the technology. And synthetic biology adds another dimension to the issues. We will investigate that in subsequent articles.